The Vogue V9275 Outfit sewing pattern is perfect for an advanced beginner/intermediate dressmaker. 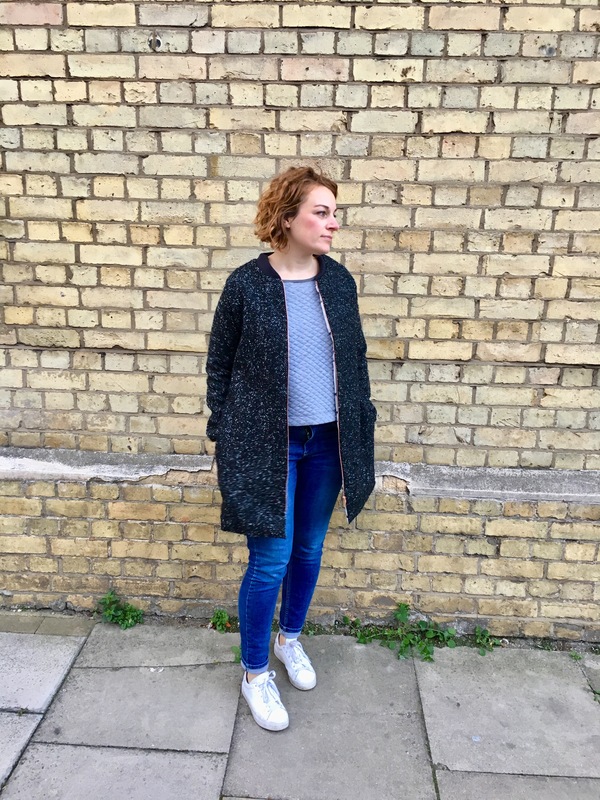 The very loose-fitting lined jacket has a zip front and contrast collar and cuffs. The pullover tunics, which are also very loose fitting, have collar variations. The close-fitting pull-on leggings have a front and back band at the waist and the fitted pull-on pants have elastic at waist. Suggested Fabrics: A: Wool Blends, Fleece, Twill. B, C, E, Contrast A: Moderate Stretch Knits (35% Cross Grain): Jersey, Sweatshirt Fleece. D: For Four-way Stretch (75%): Spandex. I loved Kate’s version so had to make one myself. 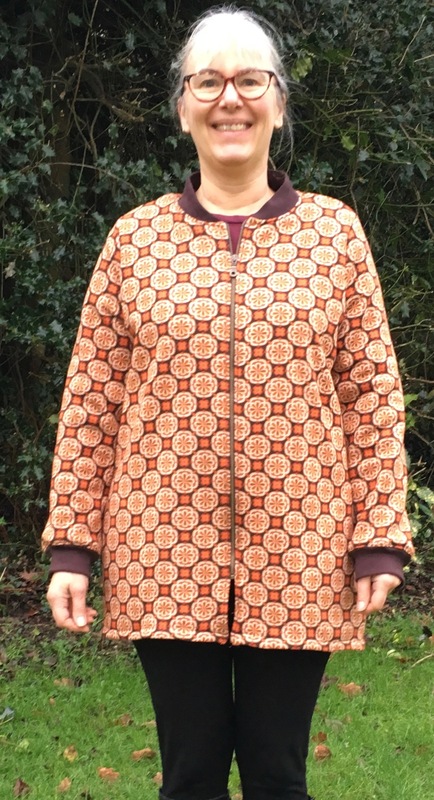 I should have just stuck to the instructions and made the lined jacket as per the pattern but wanted to face the fronts and keep the chocolate fleece interior of my double faced fabric. Obviously I should have made a toile, corrected the fit and then started on the real thing – but where’s the fun in that? All in all I’m really pleased with it, if I were to make any changes for the next round I’d probably have added a facing on the inside so that the lining is less visible.